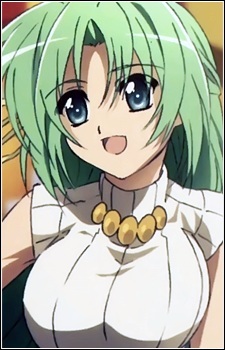 Birthdate: February 11, 1966 Shion is Mion's identical twin sister, who currently resides in Okinomiya. In spite of their different personalities, she and Mion often switch places, and it can be difficult to distinguish between them. Their first switch took place when they were little. Right before tattooing the symbol of an oni, which is reserved for the older sister, she was mistakenly identified as Shion, the younger sister, which means that she was actually born as Mion Sonozaki, the older sister. Since then, she switched her identity of Mion with Shion, the younger sister. She was sent by the Sonozaki family to a private boarding school, but escaped and returned to live near her hometown, where she lives with Kasai. In spite of all this, she and Mion maintain a close relationship. In most of the arcs, she is at a different school from the other main characters, and therefore appears less frequently. She works as a waitress at the Angel-Mort restaurant and is the manager's assistant for the Hinamizawa Fighters little league team. She is often seen carrying a taser, and also wears yellow ribbon in her hair. She is also shown to be good with guns, along with Kasai, in Matsuribayashi-hen. She was in love with Satoshi, and blames the Three Families of Hinamizawa for his disappearance in Watanagashi-hen and Meakashi-hen (the latter told from her point of view); this, along with a different demonic sadistic personality she manifested in her grief, drove her to mass murder, which led to psychosis. One of the last words that Satoshi and her exchanged before he disappeared was a promise to take care of Satoko. In Watanagashi-hen and, more explicitly, Meakashi-hen, her resentment toward Satoko for her role in his disappearance causes her to forget this promise and murder her, only to remember too late; however, in subsequent arcs, she has taken the promise to heart to the point were she is willing to give up her life for Satoko.